You are currently browsing articles tagged roman empire. 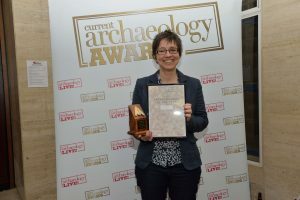 Dr Hella Eckardt, Associate Professor of Archaeology at the University of Reading, has just been named Archaeologist of the Year by Current Archaeology magazine. Part of her research is focused on uncovering evidence of how diverse the Roman Empire was, which in turn informs modern-day discussions about immigration. Here, Dr Eckardt discusses the scientific techniques used in her research and how the findings can be best communicated in schools. There has been recent discussion about the importance of bringing the past to life for school children. One way to do this is to examine how archaeology might provide a different perspective on some major current debates, for example around migration. A few years ago, I worked with my colleagues Gundula Müldner and Mary Lewis on around 150 burials from Roman Britain, trying to learn more about their geographical origin and cultural identities. As an artefact specialist, I am quite used to identifying apparently exotic or unusual objects, but it was really fascinating to test whether the people buried with them were immigrants or not. How diverse was Roman Britain? 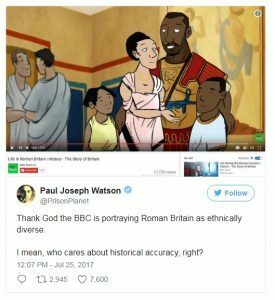 A heated conversation arose on social media on Wednesday surrounding the question of the racial diversity of Roman Britain, or the Roman empire more generally. There is plenty of evidence that the Roman empire was relatively diverse, as might be expected from an empire that encouraged trade and mobility across a territory that extended from Hadrian’s Wall to north Africa, the Rhine, and the Euphrates (and which, less positively, enslaved and moved conquered populations around by force). Rome itself was a melting pot of people from all over the Mediterranean and beyond (satirical poets moan about it, and we have the evidence of tombstones). Outside Italy the Roman army in particular acted as medium for change and movement in several ways.